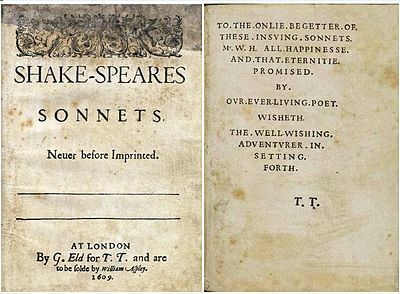 Edward de Vere was in the best position of anyone in England to be the author of the sequence of 154 consecutively numbered sonnets published in 1609 as Shake-speares Sonnets. The known facts about Oxford’s childhood, upbringing, education, and family all interconnect with the sonnets’ language and imagery. Only someone who already had high birth, and was willing to give it up, could make such a declaration to another nobleman of high birth and make it meaningful; if written to the Earl of Southampton by a man who was not high-born, the statement would be an insulting joke. And having thee, of all men’s pride I boast. (2) “When forty winters shall besiege thy brow” – He was forty in 1590, when most commentators feel the opening sonnets were written. 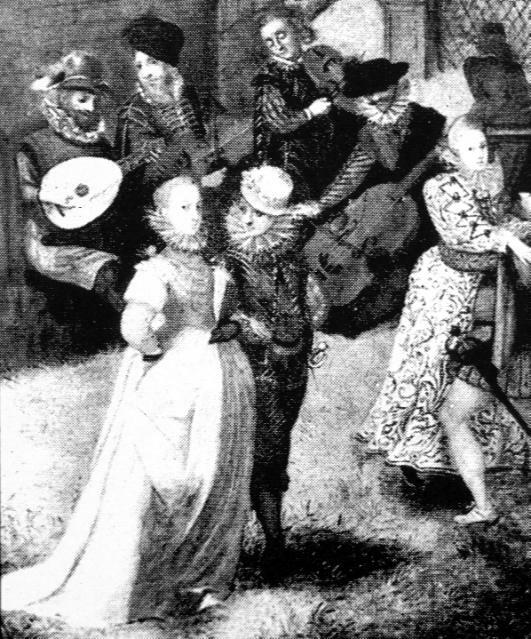 (8) “Music to hear, why hear’st thou music sadly … Mark how one string, sweet husband to another” – He was an accomplished musician, writing for the lute, and patronized the composer John Farmer, who dedicated two songbooks to him, praising his musical knowledge and skill. 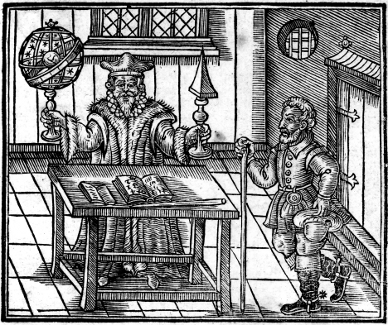 (14) “And yet methinks I have astronomy” – He was well acquainted with the “astronomy,” or astrology, of Dr. John Dee and was praised for his knowledge of the subject. (23) “As an imperfect actor on the stage” – He patronized two acting companies, performed in “enterludes” at court and was well known for his “comedies” or stage plays. 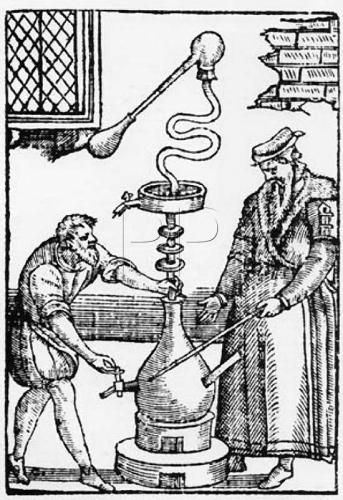 (33) “Gilding pale streams with heavenly alchemy” – He studied with Dee, who experimented with alchemy, and both men invested in the Frobisher voyages. (49) “To guard the lawful reasons on thy part” – He studied law at Gray’s Inn and served as a judge at the treason trials of Norfolk and Mary Stuart and later at the treason trial of Essex and Southampton; his personal letters are filled with intimate knowledge of the law. (59) “O that record could with a backward look,/ Even of five hundred courses of the Sunne” – His earldom extended back 500 years to the time of William the Conqueror. (89) “Speak of my lameness, and I straight will halt” – He was lamed by a sword during a street fight in 1582. 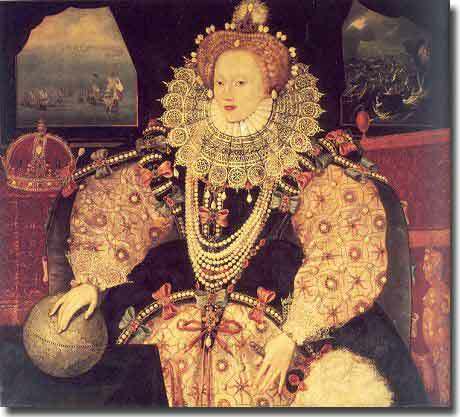 Queen Elizabeth – the Armada Portrait, 1588 – she loved those jewels! (96) “As on the finger of a a throned Queen, / The basest Jewel will be well esteemed” – He gave the Queen “a fair jewel of gold” with diamonds in 1580. 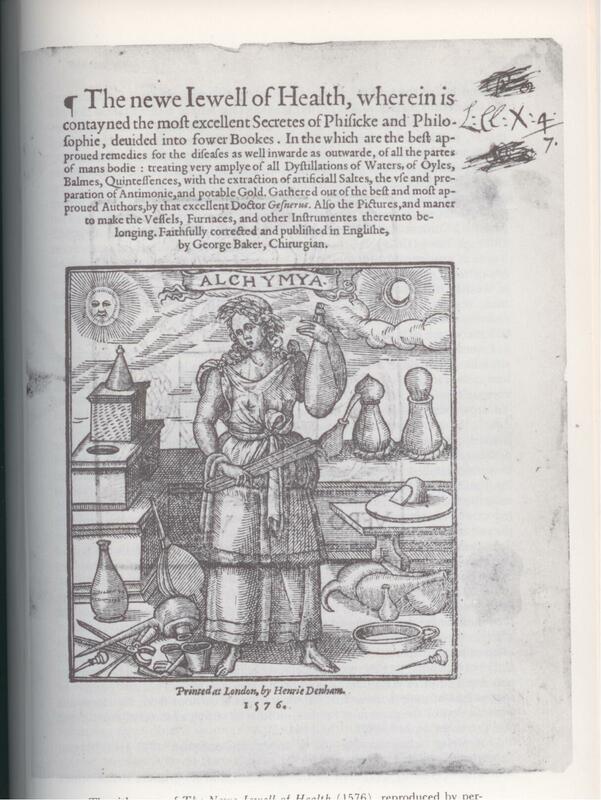 (98) “Of different flowers in odor and in hue” – He was raised amid the great gardens of William Cecil, who imported flowers never seen in England, something that accounts for Shakespeare’s vast knowledge of plants. (109) “Myself bring water for my stain” – He was “water-bearer to the monarch” at the coronation of James on 25 July 1603, in his capacity as Lord Great Chamberlain. (111) “Potions of Eisel ‘gainst my strong infection” – His surgeon was Dr. George Baker, who dedicated three books to the earl or his wife. (114) “And to his palate doth prepare the cup” – His ceremonial role as Lord Great Chamberlain included bringing the “tasting cup” to the monarch. (121) “No, I am that I am…” – He wrote to Burghley using the same words in the same tone (the words of God to Moses in the Bible) to protest his spying on him. (128) “Upon that blessed wood whose motion sounds”– He was an intimate favorite of the queen, who frequently played music on the virginals. (153) “I sick withal the help of bath desired” – He accompanied Elizabeth and her court during her three-day visit in August 1574 to the City of Bath, the only royal visit to that city; and “Shakespeare” is said to write about this visit in the so-called Bath Sonnets 153-154. The Sonnets of Shakespeare amount to the autobiographical diary of de Vere. The allusions to his life as a high-born nobleman and courtier, appearing throughout the sequence, come forth naturally and spontaneously. In effect, he left his signature for all to see.